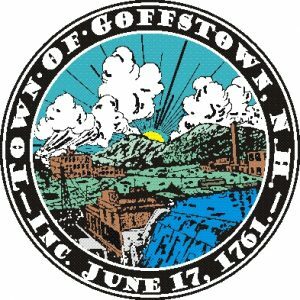 Goffstown’s population closely reflects that of the region but is notable for the proliferation of individuals in the 15-19and 20-24 cohorts, undoubtedly due to the presence of Saint Anselm College in town. There is also a slightly higher percentage of 65+ individuals as compared to the rest of the region. Goffstown is home to a large percentage of older residents, including those at the Hillsborough County Nursing Home. We were selected for phase 2 of the Southern New Hampshire Planning Commission (SNHPC) “Becoming Age-Friendly” pilot program, in part for our efforts to date. Taxpayers have funded an on-demand transportation program in cooperation with SNHPC and the Manchester Transit Authority. This bus service is available to residents of all ages, but is primarily directed to elderly for shopping and medical appointments. The Goffstown Parks and Recreation Department, Library, and Police Department have several age-friendly initiatives including Bone-Builders exercise groups, Senior Holiday Lights Tour, and a running “Seniors Count” segment on the community access channel. There are several local groups, such as the Senior Health Incentive Network Endeavor (SHINE) that meet regularly and provide community services and companionship for older residents. Goffstown offers a variety of “cozy neighborhoods” and the rail trail is a huge asset, and considerable draw. Multi-generational events such as Old Home Day, SpringFest, BerryFest, and the Giant Pumpkin Weigh-off & Regatta are sources of town pride.